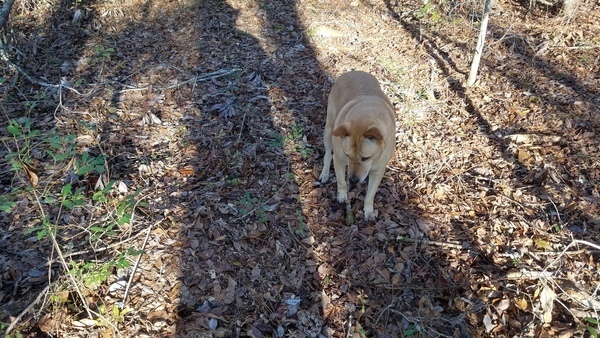 This entry was posted in Okra Paradise Farms, Rattlesnake and tagged Brown Dog, canebrake, Georgia, Gretchen Quarterman, John S. Quarterman, Lowndes County, Okra Paradise Farms, rattlesnake, reptile, Yellow Dog on December 22, 2017 by John S. Quarterman. Snaky motion across the road to Chesser Island, Okefenokee NWR, November 19th 2016. 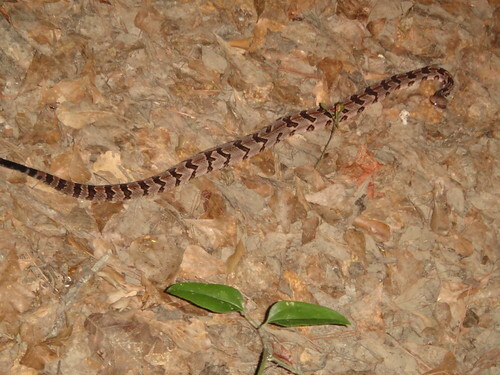 This entry was posted in Okra Paradise Farms, Rattlesnake and tagged Brown Dog, canebrake, Chesser Island, Georgia, Gretchen Quarterman, John S. Quarterman, Lowndes County, Okefenokee National Wildlife Refuge, Okefenokee NWR, Okefenokee Swamp, Okra Paradise Farms, rattlesnake, timber rattler, Yellow Dog on November 25, 2016 by John S. Quarterman. 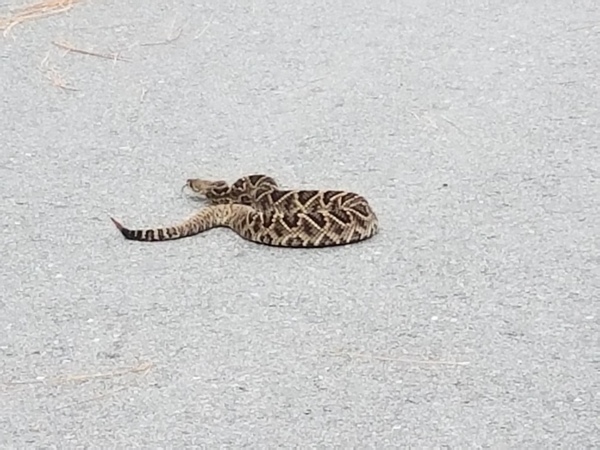 Canebrake, rattlesnake, Crotalus horridus, timber rattlesnake, in the road at Okefenokee NWR. 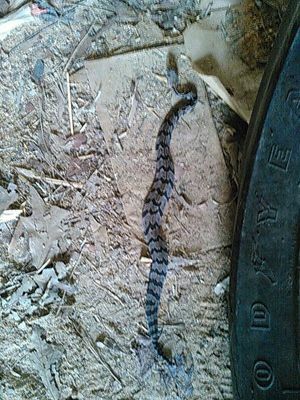 This entry was posted in Rattlesnake and tagged canebrake, Crotalus horridus, rattlesnake, timber rattlesnake on November 19, 2016 by John S. Quarterman. 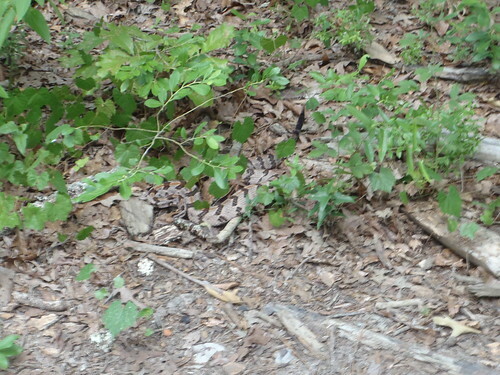 This entry was posted in Okra Paradise Farms, Rattlesnake and tagged Brown Dog, canebrake, Georgia, Gretchen Quarterman, John S. Quarterman, Lowndes County, oak snake, Okra Paradise Farms, rattlesnake, tractor, Yellow Dog on August 17, 2015 by John S. Quarterman. 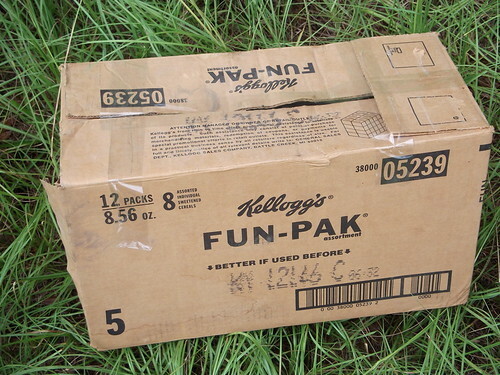 What’s in the fun box? This entry was posted in Rattlesnake, Reptiles, Snakes and tagged 23 July 2011, Crotalus horridus, Georgia, Gretchen Quarterman, John S. Quarterman, Lowndes County, Okra Paradise Farms, rattlesnake, timber rattlesnake on July 23, 2011 by John S. Quarterman. 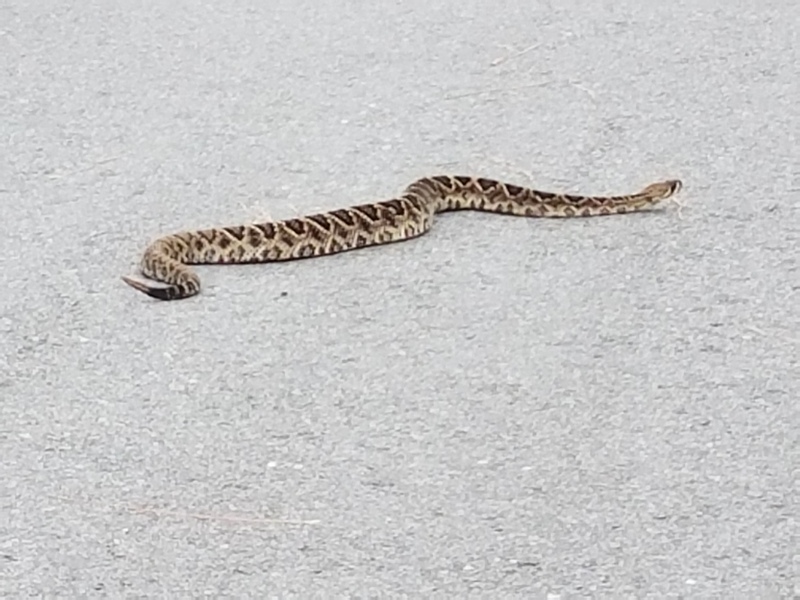 Yep, it’s a timber rattler. You can’t see the rattles in this picture (although you can in these other ones by Gretchen), but it had three. So I put it in a box. It didn’t like that: it really rattled. We drove it to a better spot in the woods, where it’s very happy now. Update 8:45 AM 3 July 2011: Fixed picture link and added link to flickr set with Gretchen’s additional pictures. This entry was posted in Rattlesnake, Reptiles, Snakes and tagged Brown Dog, Georgia, Gretchen Quarterman, John S. Quarterman, Lowndes County, Okra Paradise Farms, rattlesnake, timber rattler, Yellow Dog on July 2, 2011 by John S. Quarterman. It’s just a log, right? So why are the dogs so interested? This entry was posted in Cypress, Dogs, Rattlesnake, Reptiles, Snakes and tagged 30 August 2010, canines, canis familiaris, Crotalus horridus, Dogs, Georgia, Gretchen Quarterman, Lowndes County, rattlesnake, timber rattler on August 31, 2010 by John S. Quarterman. This entry was posted in Rattlesnake, Reptiles, Snakes and tagged 23 July 2010, Crotalus horridus, Georgia, Gretchen Quarterman, Lowndes County, rattlesnake, timber rattler on August 28, 2010 by John S. Quarterman. 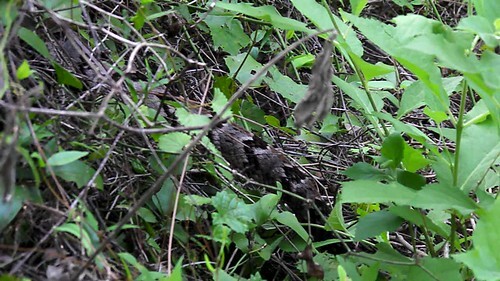 This entry was posted in Rattlesnake, Reptiles, Snakes and tagged 14 June 2010, Crotalus horridus, Georgia, John S. Quarterman, Lowndes County, timber rattler on June 18, 2010 by John S. Quarterman. The other day somebody asked me to recommend some books about longleaf forests, how they used to be, what happened to them, what can be done now. I was going to start by posting a short list, but each item was turning into a review, so I’ll just post them one by one as reviews. Ecology of a Cracker Childhood (The World As Home), by Janisse Ray. How dirt poor crackers and corporate greed destroyed most of the most diverse ecosystem in North America; yet these same people are the tragic heroes of the book. Half autobiography, half ecology, this book will either get you with Janisse’s “stunning voice” or you won’t get it. If you’re from around here, you’ll hear the wind in the pines, feel the breeze, and see the summer tanagers yellow in the sun. If you’re not, here’s your chance to meet a “heraldry of longleaf” up close and personal. See Janisse read in Moultrie. “More precious than handfuls of money.” See her wikipedia page for a pretty good bio. But read the book. If nothing else, you’ll never think the same again about Amazon deforestation once you realize we already did that to ourselves, and in the south we live in the devastated remnants of what was one of the most extensive forests on earth, with longleaf pine trees 100 feet tall and 500 years old, maintained by fire, protecting everything from the Lord God bird to the lowly Bachman’s sparrow, from the rattlesnake-eating indigo snake to the beetles that live in gopher tortoise burrows. The forest can return, because reforestation can pay. Meanwhile, there are still places where you can see how it used to be. Janisse Ray had a lot to do with preserving Moody Forest, too, but that’s another story. This entry was posted in Birds, Books, Botany, Economy, History, Longleaf, Rattlesnake, Reptiles, Snakes and tagged Amazon, Appling County, Baxley, Colquitt County, Ecology of a Cracker Childhood, Georgia, Janisse Ray, Longleaf, Lowndes County, Moody Forest, Moultrie, pine, Pinus palustris, reforestation on May 27, 2010 by John S. Quarterman.